If English is not your native language, you may wish to contribute as a translator. All services and documents that are visible to the user are translated by the I18n team. It does not matter which language you speak. We already have a lot of language teams who are very active. Our claim is more diversity, to support us in our work at I18n. 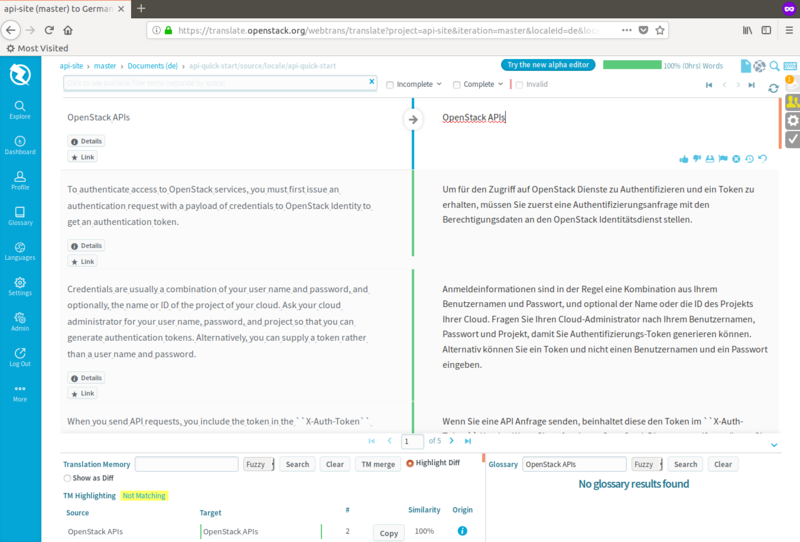 For registration and login you need an OpenStack Foundation Account. 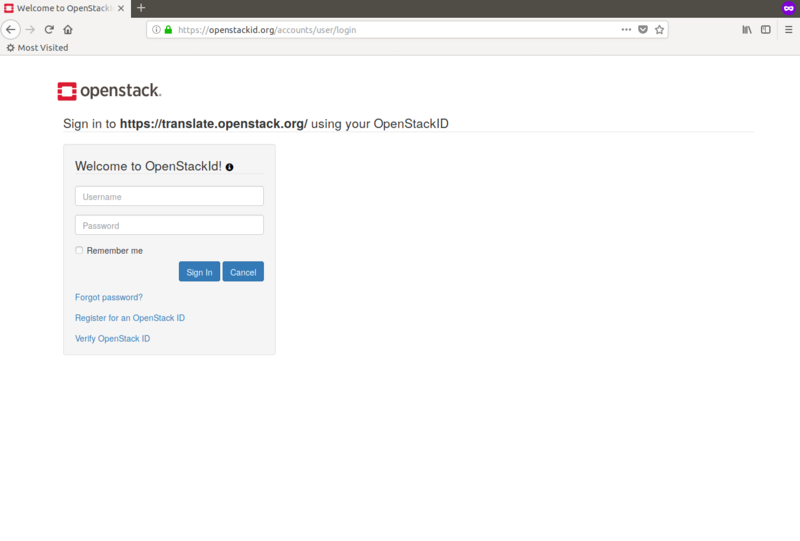 Click on LogIn on translate.openstack.org and follow the process for applying your Zanata profile. Once registered, you can join a language team. Your membership application must be confirmed by the language coordinator. This may take some time. An e-mail with your request will be sent automatically. 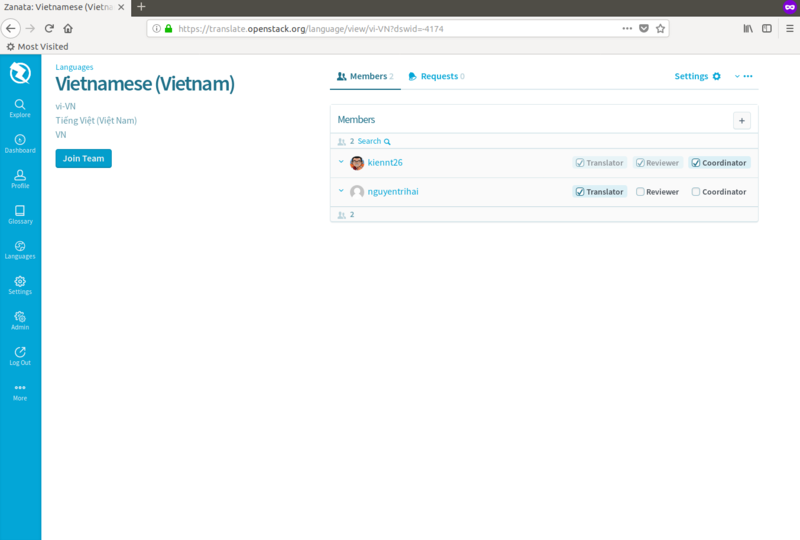 Choose a project where you want to contribute with translating. Usually there is a translation plan with priorities on the start page. This is the view of the Zanata workspace. On the left side you have the original text string, while you can enter the translation on the right. 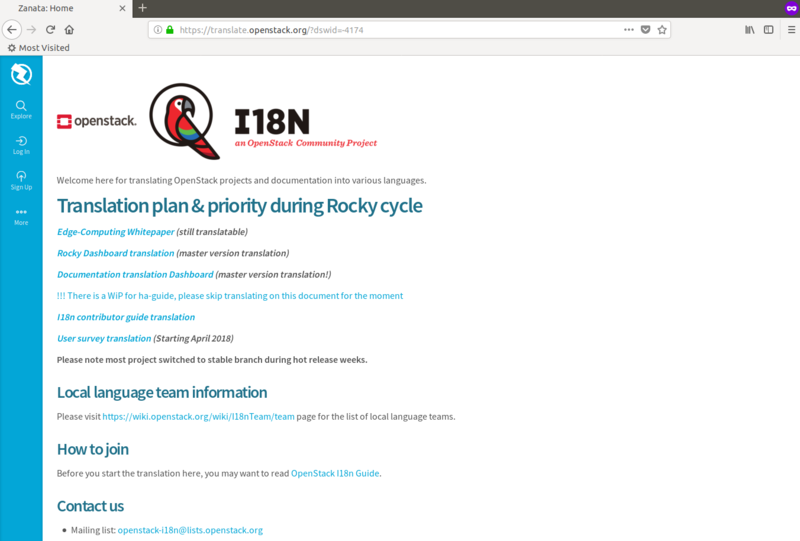 For more information please visit the OpenStack I18n Guide. This guide is also translatable.